If the real world isn’t as magical as you’d like it to be, it’s well worth trying out Decurse – A Magic Farming Game for PC. As you’ll have the opportunity to design and create your dream island as you work to free a lost world which has been submerged by water. 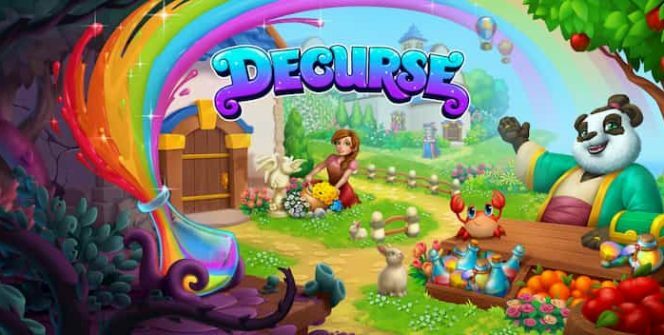 Essentially Decurse is a farming simulation game, where you’ll be able to plant and sell a wide variety of flowers, fruits and vegetables. Such as carrots and strawberries. As your farm grows from success to success, you’ll be able to start renovating your island and to bring happiness back to your villagers. 1. You’ll be able to fulfil tasks for your villagers. Once you start farming, you’ll be given tasks from your villagers which are well worth fulfilling in exchange for rewards. 2. Decurse features a trading system. If you produce more goods than your village can consume, it’s well worth using your hot air balloon in order to visit your neighbours. As well as being able to sell goods, you’ll also be able to purchase goods, which you can’t produce yourself, which is handy. So if you’re ready to explore a magical land where panda bears, wizards and mermaids roam free, it’s well worth downloading Decurse for PC. 3. You’ll be able to raise cute farmyard animals. As well as harvesting grains, fruit and vegetables, you’ll also be able to raise cute farmyard animals. 4. You’ll be encouraged to decorate your island. One of the best parts of playing Decurse, is getting to transform your island, into the island of your dreams. 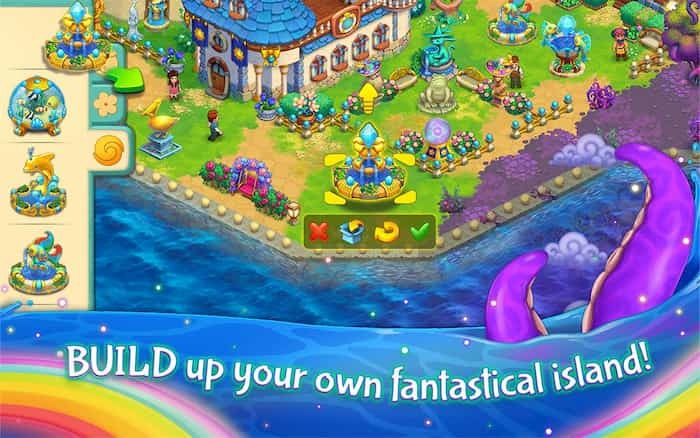 As an example, you’ll be able to create beautiful, colourful gardens for your island. 5. Not only can you sell your produce but you can also cook, bake and grill. Unlike many other farming simulations, if you play Decurse you’ll get to cook, bake and grill special items for your islanders. As an example a villager may give you a mission to bake them their favorite treat. 6. Over time you’ll get to lift a dark curse from multiple islands. Once you’re rescued your first island and brought smiles to once gloomy islanders’ faces, you’ll unlock new islands to explore. So if your’e looking to download a casual game that will hold your attention in the long run, you should find that Decurse should hold your attention for several weeks. 7. Decurse features hundreds of adorable creatures, who can’t wait to meet you. While most games feature 100 different characters or less, each day that you log on to play Decurse, you’ll come into contact with at least one brand new creature. In fact, part of the fun of playing Decurse is getting to meet adorably animated creatures such as mermaids and pandas. 8. You can spend your resources on forging new items. Once you start to acquire new resources you’ll be able to forge rare and useful items. 9. You’ll earn daily rewards. Getting rewarded for simply logging onto Decurse is a huge bonus and helps you progress through the game quicker. So if you’re the right man to rescue Decurse’s islands from a dark curse, it’s worth downloading Decurse today, in order to get started. Sometimes when playing Decurse – A New Magic Farming Game, bluestacks ask you fee to pay but gives you option to download some apps. Every time it asks you just select “Install apps” and continue using it free. I hope you enjoyed this article, please rate and share. If you have problems running Decurse on your desktop or any other issues, leave a comment below.